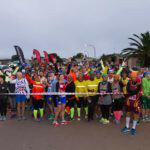 The marathon starts in Main Road, Green Point at 05h15, while the half marathon starts at the Bergvliet Sports Club at 07h00 with both routes taking runners on a fast, flat course through to the finish at the Naval Sports Grounds in Simon’s Town. 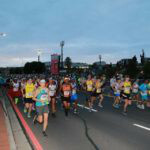 The event is organised by Celtic Harriers in association with Top Events and is an official qualifier for the Old Mutual Two Oceans Marathon and Comrades, with many runners using it not only as their qualifier but also as their long training run. 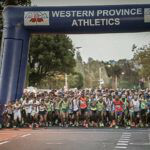 The Cape Peninsula Marathon is run in accordance with the rules of ASA and WPA. 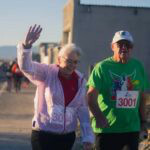 The Cape Peninsula Marathon and Half Marathon are open to all licenced and non-licenced runners of 16 years and older for the Half Marathon and 20 years and older for the Marathon. 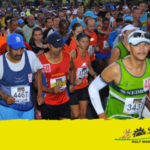 Temporary licences are available at R60 for the 21.1km and R70 for the 42.2km event. Personal seconding is not permitted, except at official refreshment stations. Private vehicles are requested not to follow the athletes on the route. No swopping of race numbers or disposable chips as these are linked to your name and finishing time and may result in your disqualification. Juniors (born from 2000 onward) wearing junior or senior license must wear an age category tag to qualify for age group prizes. Juniors will be eligible for OPEN individual and team prizes. Foreign athletes must comply with IAAF rule 4.2 and all relevant race and domestic rules. If required the athlete must be able to produce a letter from his/her federation permitting participation on race day. Parking is available at the finish. Prize giving will take place at 10h30. Proof of of age is required for category prizes. NO CHIP, NO TIME, NO RESULT, NO QUALIFICATION FOR TWO OCEANS OR COMRADES. For safety reasons the use of personal music players with headphones is not allowed. Use of such device in contravention of IAAF rule 144.3b may be disqualified and will not be eligible for individual or team prizes. Temporary license holders when registering must complete and hand in the tear off strip from the number in order to be eligible to compete. Do not litter. Dispose of sachets and cups responsibly by using the boxes provided or carrying them to the Finish. Report offenders to the referees. #RunClean. Fax and online entries will receive a conﬁrmation email (if an email address is provided by you). Prior to number collection you will receive an sms indicating your race number and registration venue you selected on your entry form. Please bring proof of your entry, email conﬁrmation or sms conﬁrmation with you to number collection on Saturday 16th February 2019.
payment is not received within 72 hours of entry, your entry will be deleted. Complete your entry form and fax it along with your deposit slip to (021) 510 7230. Closing date for fax entries is Sunday 3rd February 2019.
entry form and the other serves as proof of your entry, please bring this with you to registration. Closing date for in store entries is Sunday 3rd February 2019. ENTRY FEES ARE NON-REFUNDABLE AND WILL BE DONATED TO CHARITY IF AN ENTRY IS CANCELLED BEFORE RACE DAY. Due to the fact that chip timing is being used, there will be NO LATE ENTRIES TAKEN AT NUMBER COLLECTION. We share a vision of a child-friendly hospital, internationally recognized for its clinical excellence in providing specialist medical and surgical care to babies and children and its ability to optimize holistic health care to all children within South Africa. The Tygerberg Children’s Hospital Trust was set up to improve the care of babies and children who are treated at the Tygerberg Children’s Hospital. The Trust raises life-saving funds to upgrade facilities and buy technologically advanced medical equipment. Through our development projects, we aim to create an environment that is in tune with the needs of the children we treat, as well as being a welcoming space for their parents and caregivers. The Tygerberg Children’s Hospital Trust partners with the Tygerberg Children’s Hospital, which is dedicated to caring for children and newborn babies, within the framework of the larger Tygerberg Academic Hospital. Supporters of the Tygerberg Children’s Hospital Trust have helped to give thousands of children a better quality of life. 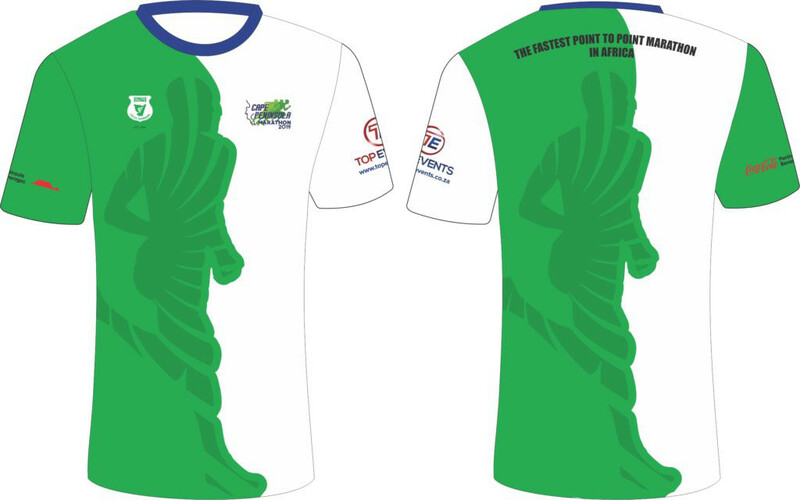 specified road running or cycling event, a sponsored food parcel will be donated to TB sufferers who take their prescribed medication every day, under the supervision of the Direct Observation Treatment(DOT).” Neal’s goal is to help 1,400 TB patients with their recovery. Neal is the brand ambassador for recovery massage gel, MYO2 Recovery Gel and actively promotes the product as he continues with his intense training programme. In addition to collecting food parcels, Neal has initiated Seeds4Life (the collection of seed packets and subsequent germination and planting at various food gardens and schools such as the Masizakhe Food Garden, Homestead for Street Children and Symphony Primary School) and Blankets4Life – the collection of blankets for the Homestead for Street Children and TB patients on Mandela Day. will receive their prizes followed by the lucky draws. 2. *Juniors must be under the age of 20 at 31st December 2019. (Born in 2000 or later). prizes in the lucky draw. 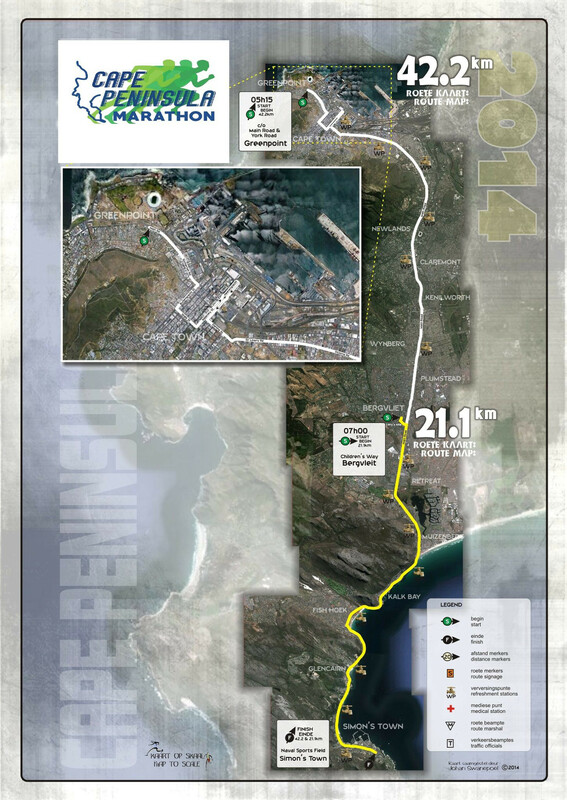 Jetline Action Photo is proud to be part of the Cape Peninsula Marathon. This year instead of pre-paid printed images, we are introducing a very cost effective pre-paid digital download. If you take this option you will be entitled to two of the images of your choice at a cost of R 120.00 for 2 images. Visit www.jetlineactionphoto.com to view your images.